Loc Rocker: The Soldier Loc grows! Please excuse the delay, y'all...I was on a family vacation. Although I wouldn't call touring D.C. in the blazing sun a vacation but more about that later. I will slowly but surely attempt to crank out more posts. In the meantime, check out the growth that is the solider loc. This loc is nicknamed the soldier loc because it was one of the first that I noticed was completely loc'd. I didn't list the months on the corresponding pictures because I'm too lazy but I'll do a formal post on comparison shots. I get a lot of emails about that. I'm not a length tracker so it's not in me to know how many inches my locs have grown. I don't really care...I just want a healthy scalp and locs. Ya feel me? hey Lockrocker! yes I missed your posts; you keep me inspired. Glad you had a safe time in DC!!! How has your locks been since you took out those rubber bands? alright nah! grow on soldier...LOL!! I don't think I've ever checked the length of my locs, I just let them do what they do, lol. Tomorra---> Thank you, lovely! 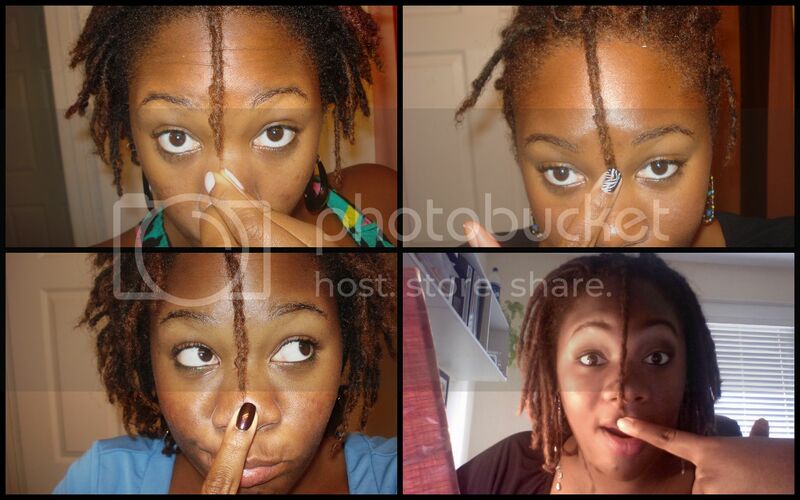 And the locs are 10x better without ther rubber bands. Those bands were such a waste of time because they didn't do anything but annoy me. Welcome back Ms. Queen B. Great attitude - why are we always stuck on "long?" I only use the rubber bands when I want to put crinkles in my locs - wet them, braid sections, rubber-band the ends. My one-year loc-iversary is coming soon! Zenzele---> Right? I've always wondered the same thing. But I don't think it's just Black women. A lot of women think that long hair defines femininity. So not true! !